One of the greatest events of the international sailing calendar, the Cannes Royal Regatta is the final leg of the Panerai Classic Yachts Challenge for the Mediterranean season. Taking place in the Bay of Cannes between the 23rd and 30th September 2017, the regatta brings together historic sailing yachts across the Classic, Metrique, Tofinou, Dragon, Spirit of Tradition, and 5.5m yacht classes to battle it out for the coveted Panerai Trophy. 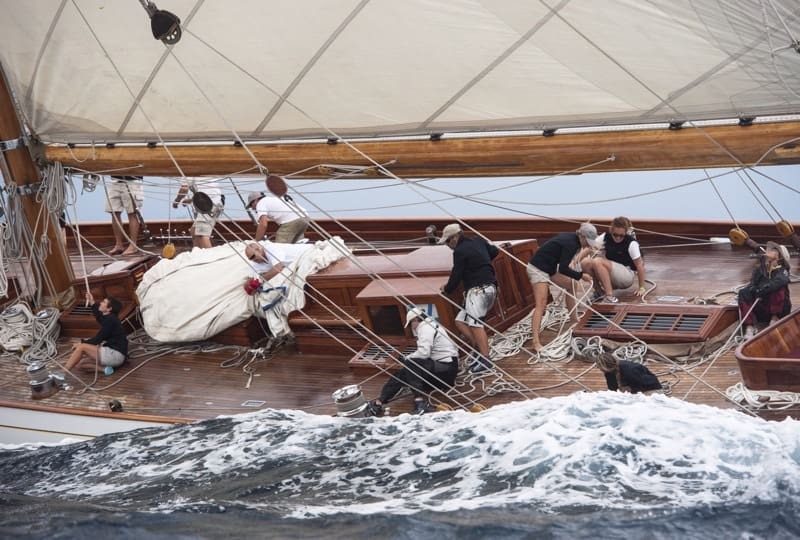 Now in its 39th year, the Royal Regatta enjoys a sense of majesty that harks back to the early regatta days of the previous century, when European royalty sailed the course off Cannes in beautiful gaff-rigged yachts. Today, the event’s rich history embellishes the meet with a feeling of prestige; a fantastic atmosphere and friendly rivalries make this a favourite event on the Mediterranean sailing circuit. Cannes is a paradisiacal destination that was seemingly designed for the jet-set population. Fine restaurants line golden-sanded beaches, sophisticated beach clubs serve sumptuous cocktails, and exclusive nightclubs like Baoli and Gotha attract international superstars. 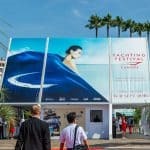 With a temperate climate and approximately 300 days of sunshine per year, Cannes is ideal for spending mornings in the water, afternoons on the sun deck, and evenings somewhere glitzy. Around the time of the Royal Regatta, the Mediterranean destination comes to life with seafaring enthusiasts from across the world. A yacht charter in Cannes offers the perfect opportunity to get involved in the exhilarating classic racing scene. Whether as a family, group of friends, or as a corporate group, take your luxury yacht charter to the Cannes regatta and enjoy a prime view of the action as the sailboats glide past in their majestic beauty. After the racing is done for the day, the race village in Cannes provides the chance to join in on the revelry and mingle with Owners and crew of the classic fleet. 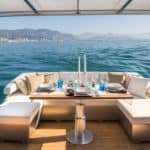 When the event is finished, explore the spectacular destinations that surround Cannes in the French Riviera: sail around Saint-Jean-Cap-Ferrat and head towards Monaco, or head for St Tropez to unwind in style, as the allure of exotic sites encourages your adventure. 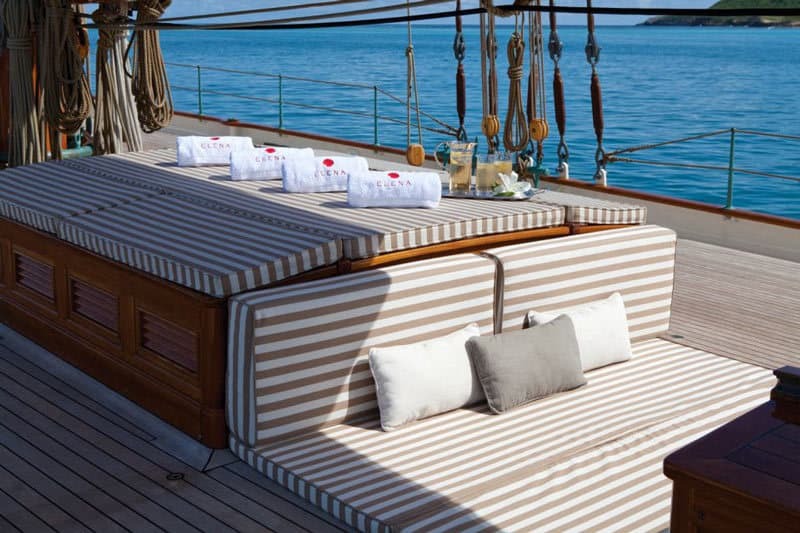 The magnificent S/Y ELENA still has availability for the Cannes Royal Regatta. 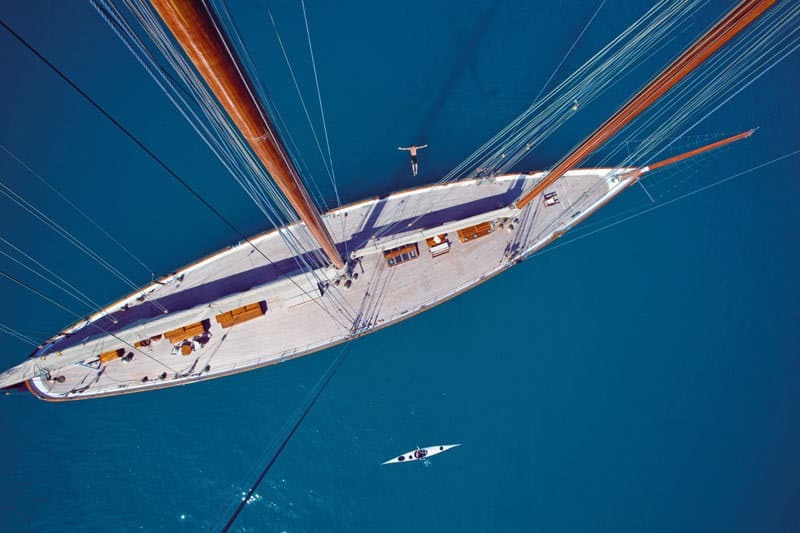 A 55.0m gaff-rigged schooner, she is a meticulous recreation of the vessel that won the 1928 transatlantic race, made even better with modern superyacht luxuries. Launched in 2009 by Factoria Naval de Marin, S/Y ELENA is built to the exact 1911 drawings by Nathaniel D. Herreshoff – one of the giants of classic yacht design, known in his day as ‘The Wizard of Bristol’ for designing race-winning yachts for the American elite. Even S/Y ELENA’s 1,800 square metre sail plan is to Herreshoff’s 1911 design, because, despite all the computer modelling and rigging advancements available today, the original sail plan simply could not be improved upon. 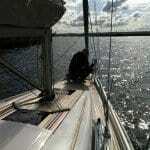 S/Y ELENA’s regatta performance since launch attests to this claim. S/Y ELENA’s interior exudes the elegance of a bygone era, with an elegant dining and salon area of varnished mahogany, deep red chesterfields and ceiling beams. Eight guests are accommodated in four luxurious staterooms, with two doubles and two twins – all featuring en suites. All staterooms have beautiful white and mahogany panelling, with portholes and skylights flooding the rooms with natural light. The superyacht combines the best of old and new worlds, with onboard Wi-Fi, iPod docking stations, and air-conditioning throughout. Out on deck, the expansive, sun-warmed decks provide plenty of room for sunbathing and entertaining, with a dining area, lounge, and sunpads decorated in stylish white and beige stripes. 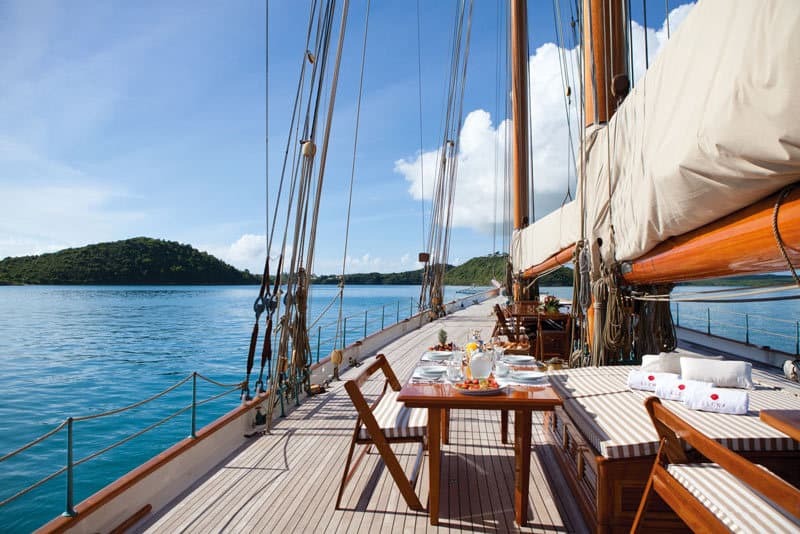 S/Y ELENA also carries a wide array of water toys for guests to enjoy on charter, with 2 tenders, waterskis and kayaks, as well as kitesurfing, snorkelling, and fishing gear. 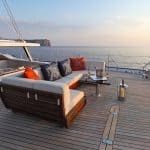 S/Y ELENA is available to charter in the Western Mediterranean during the summer of 2017 from EUR 80,000 per week. Experience the Cannes Royal Regatta first-hand, in style, elegance, and comfort.